Chrysanthemum known as mum or mums is the typical fall staple flower. Well, it is to me! Every fall my mother always goes to the local nursery to pick out her selection of brightly fall colored mums. There are many different species and colors of mums. There are also 12 different types of blossoms they can have. The Chrysanthemum is the November birth month flower. Most of the months have two birth month flowers. November however, only has one. I think this is the perfect flower to be Novembers birth month flower. This flower looks great to be used in either a flowerbed with other types of flowers, a flowerbed of it’s own, or even in a vase used as fresh cut flowers. A vase with mums and other fall flowers would make a great centerpiece for a fall dinner party. This plant can be bought or grown from seeds. 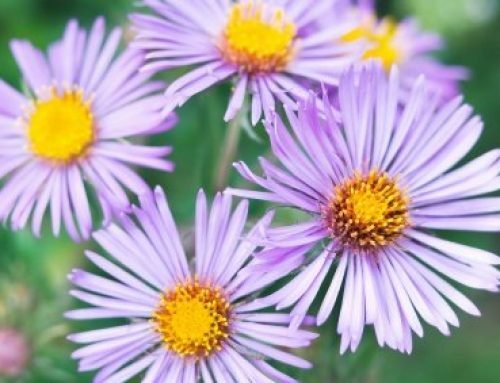 It also comes in both forms of perennial and annual flowers. The annual mums are much easier to maintain, and last a while with proper care. The cut flowers also last long. Almost two weeks or longer! 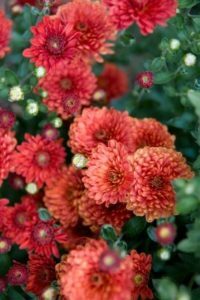 The perennial mum however, is a bit more difficult to grow and maintain. If you choose to go with perennial mums, make sure you take proper care of them so they will continue to grow to their best potential. We always buy the annual mums, and just replant them in a flowerbed year after year. To grow perennial Chrysanthemum flowers, the first thing to do is to pick a spot that gets the most sun. Also make sure that the soil in that area is rich and well drained. To have soil with good drainage, dig a spot and fill it with lots of manure, or some type of compost to keep the soil well drained. Do all of this a few weeks or months before you are ready to plant. This gets the soil ready. Right before you are going to plant them, fertilize the area with a regular all-purpose fertilizer. While you can start your bed from seeds, it is not recommended, because they are very hard to grow. Instead, plant purchased plants that have already begun to grow. Once you have planted the flowers, feed them on a weekly basis with a time released fertilizer. Also remember to water the flowerbed. If they begin to grow to wildly, pinch back the plant to get your desired shape. Continue to pinch the flowers back throughout the season as you think it needs to be done. Don’t forget to also divide the Chrysanthemums. As you dig them up, get rid of the brown dead parts, and replant the part that is still in good shape. Any colors you choose to grow will look wonderful for the fall season. Whether you decide to go the perennial route, or the annual one, the colors will really say, fall is here! 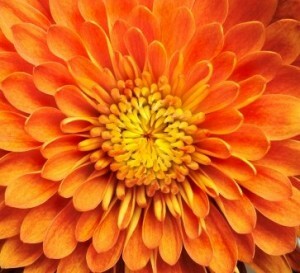 Some of the great colors mums come in are: red, burgundy, rust, orange, yellow, purple, white and pink. As I have said previously, the Chrysanthemum blossom comes in 12 different styles. I am going to go over the different kinds, and describe how they look, to give you a better idea of the kinds of mums you might want growing in your fall garden. Regular incurve has a blossom shaped like a sphere. It looks like a tight ball sitting on the stem. It has a fully double bloom. Irregular incurve is also a double bloom, however it does not look like a tight sphere. The ends of the bloom sort of hang loose instead of looking like they were tucked under into a ball. Intermediate incurve is more open then the irregular incurve. They also have a double flower head. Semi-double has an open bloom and kind of resembles a daisy. It has a center disk that is surrounded by layers of petals. Reflex has sort of an umbrella shape to it, with the shorter middle petals standing straight up. Pompon resembles the regular incurve. It does not however, look as tight as the regular. The petals look short and tight at the top, but as you look further down on the flower head, the petals seem to be able to breathe more. Meaning they are not stuck together. Anemone has a large center with layers of thin and pointy petals growing out of it. Brush resembles a broom. It has long petals growing from the center, that stick straight up. Spider looks just like its name, a spider. It has a double flower head with the petals that hang off of the center in a droopy sort of looking manor. Decorative has layers upon layers of short petals, with a circular center. Quill has a double flower head with sharp looking petals shooting out from its center. Don’t worry though the petals only look sharp. Last but not least: Spoon. Spoon has a very unique look to it. There is a circular center, with a semi double flower head. The flower itself looks like a disc. Well, there are all the 12 different shapes of the flower heads. Pick your favorite styles, along with your favorite colors, and enjoy you lovely fall garden!